An anechoic test box ideally has two main purposes – to produce an exact acoustic replicate of an electric input signal and to exclude all external noise. Anechoic Test Box Type 4232 comes very close to these objectives, in a unit that is so small that you can easily use it on your desk. The test box provides excellent insulation from external noise, even at low frequencies, and well-defined uniform test conditions, important requirements for obtaining accurate and repeatable measurements. 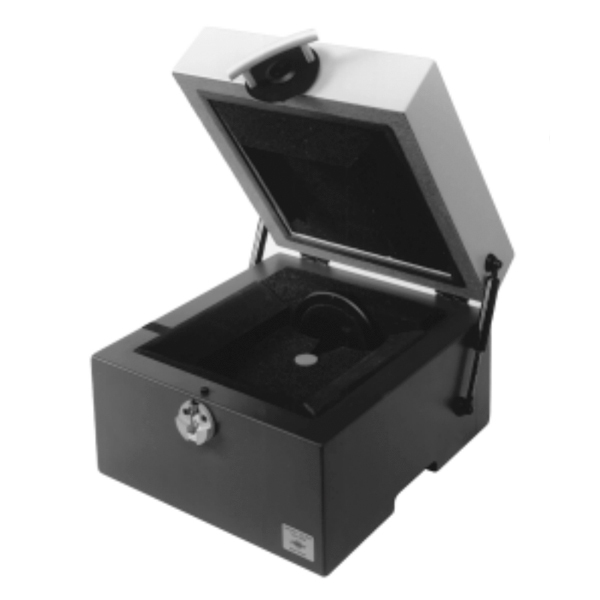 The rectangular, table-top design of the test box consists of the main bottom section that contains the sound source and the measuring plane, and the hinged lid that is easily opened to give access to the measuring plane on which the test object, coupler or microphone is placed.